Join us for Happy Hour at the Museum! $5 specialty cocktails created by Outpost at the Goodland’s resident mixologist Chris Burmeister, themed art activities in our Art Lab, & a special DJ set. Part of Downtown Santa Barbara’s 1st Thursdays. FREE ADMISSION to the exhibition, Beyond 2º. David N. Pellow is the Dehlsen Chair and Professor of Environmental Studies and Co-Director of the Global Environmental Justice Project at UCSB. He has served on the Board of Directors for the Center for Urban Transformation, Greenpeace USA, and International Rivers. Register for Event: Beyond 2°: Fire Happy Hour at the Museum! 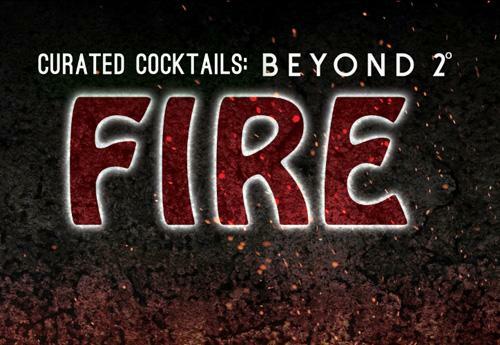 Your ticket for the: Beyond 2°: Fire Happy Hour at the Museum!